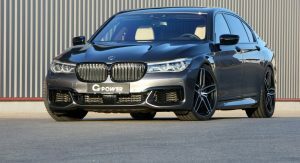 For just €2,080 ($2,350) in Germany, G-Power can make your BMW M760LI as quick as a previous generation supercar. 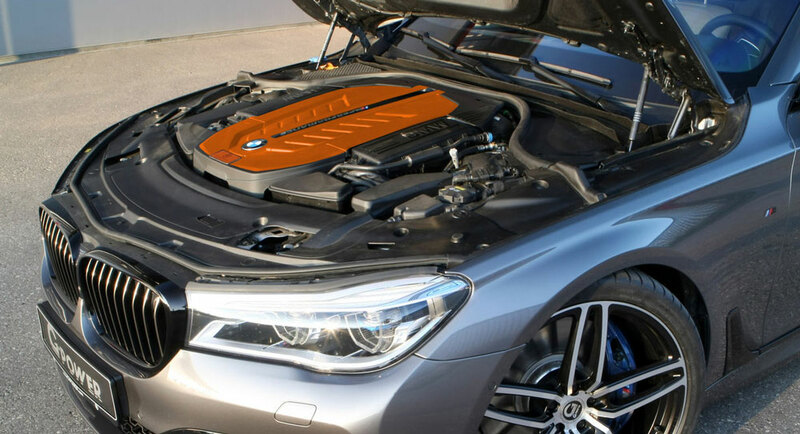 The price includes the V1 performance software, an optimization that lifts the output of the V12 engine from 610 PS (601 hp / 448 kW) and 800 Nm (590 lb-ft) of torque to 700 PS (690 hp / 515 kW) and 900 Nm (664 lb-ft). 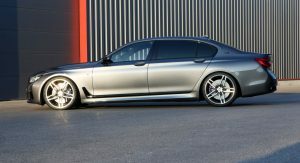 G-Power says that, with this upgrade, the German flagship saloon can hit 100 km/h (62 mph) in just 3.4 seconds from a standstill. 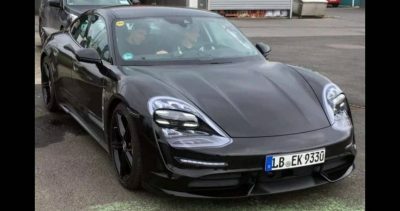 And for an extra €471 ($532), they can also remove the speed limiter, so it will eventually max out at 310 km/h (193 mph). 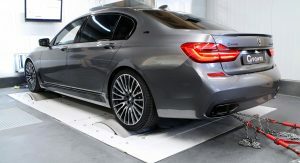 By comparison, the stock M760Li goes from 0-100 km/h (0-62 mph) in 3.9 seconds and has an electronically limited top speed of 250 km/h (155 mph). 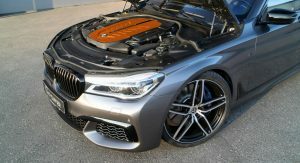 The tuner claims that the power upgrade doesn’t affect reliability, as the twin-turbo 6.6-liter V12’s optimization software is said to “ensure a long service life and preserve all engine protection”. 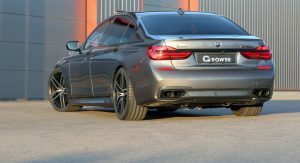 Apart from the power upgrade, G-Power has also installed a set of forged rims. They’re called the Hurricane RR, measure 9×21-inch in size at the front and 10.5×21-inch at the rear, and come shod with 255/35 and 295/30 tires respectively. You had me on the 3.4 figure. 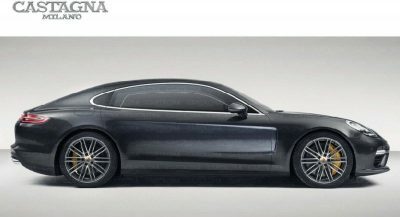 But…80hp bump for $2400?? Not impressive. 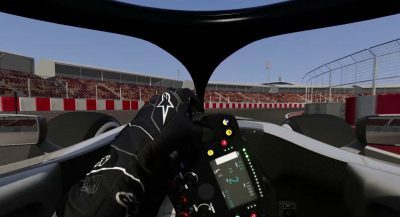 I think that V12 is capable of 900hp. 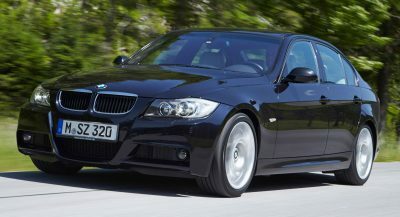 I wish BMW would just make an M7 and call it a day. The M760 is impressive but it pretty much just sits at dealers collecting dust.